Thank you for visiting another one of Perry Motors's online listings! 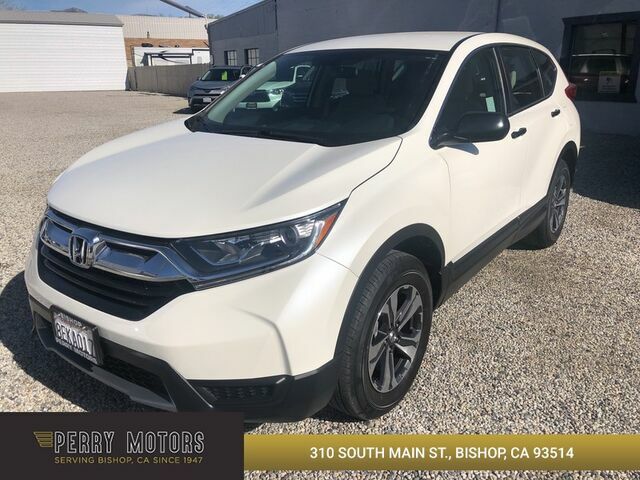 Please continue for more information on this 2018 Honda CR-V LX with 7,865mi. The Honda CR-V is the benchmark all other SUVs strive to meet. With exceptional power, towing and handling, this SUV can handle anything thrown at it. The Honda CR-V LX is economically and environmentally smart. Honda clearly delivers on its promise to provide a fuel-efficient vehicle that has the great qualities you need in a vehicle. Simply put, this all wheel drive vehicle is engineered with higher standards. Enjoy improved steering, superior acceleration, and increased stability and safety while driving this AWD HondaCR-V LX. The look is unmistakably Honda, the smooth contours and cutting-edge technology of this Honda CR-V LX will definitely turn heads.